I am an ex-London cyclist and now a Goettingen rider – I have a fondness for cyclo cross and gravel cycling. This webpage is about my German gravel, naturweg, Panzer Weg and road rides. This, I guess will be a narrative of sorts of my cycle life in my newly adopted home country. I would love to hear from you and if you don’t mind helping me with my German we might go out for a ride – I need to learn the routes! I sat on a bench at Kerstlingeröderfeld and thought…. Peace Dividend Fahrradtour – Zieten Barracks – Kerstlingeröderfeld. Road Race Gravel & Pave Video/Results 2019. My mantra is be more ‘Roubaixesque’. Today’s midweek ride with Gunnar Fehlau seemed to pay homage to the Spring Classics… More words and pictures. Light snow had been falling all day on Tag 21 on the German Haus, nonetheless David led us into the forest for an evening ride – we did feel a wee bit like Hansel and Gretel… More words and pictures. Its day 19 in the German Haus and kitty sniffs my shirt contemptuously post ride – ‘what another ride’, he seems to be saying… More words and pictures. A 14 KM ride in 43 minutes early evening (6pm) saw me skip down the ‘Tilly Berg’ through housing and quickly onto the gravel paths that took me along the ‘watch towers’… More words and pictures. With time a little tight this day our ride with Gunnar Fehlau included more tarmac than normal, but it was good tarmac and mostly traffic free… More words and pictures. Inspired by the Gent Wevelgem women’s bike race we popped out for an hour… More words and pictures. 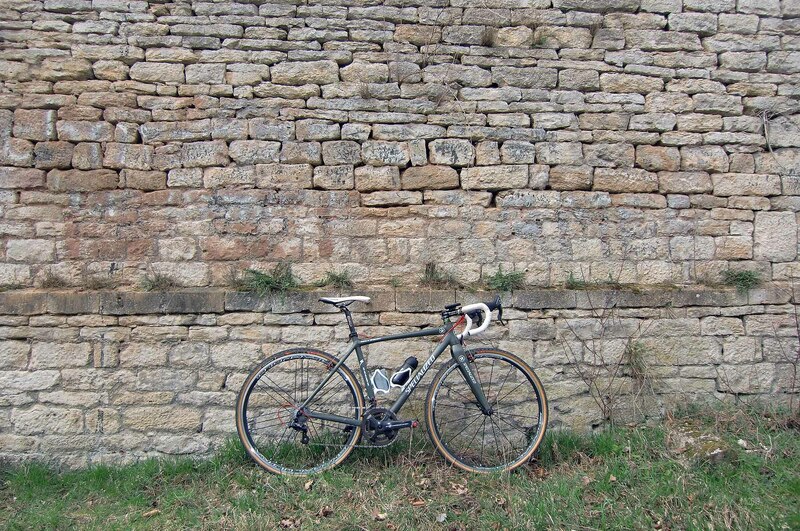 Lunch time gravel ride with Gunnar Fehlau und Andrea Hofling, so gut… More words and pictures. With so few miles in my legs in recent months this ride felt tough especially on the cobbled climb through what were the Zieten Barracks and then the abandoned Panzer Weg up to Kerstlingeröderfeld. Once a place where Chieftains and Leopards roamed… More words and pictures.